PostgreSQL is a highly extensible and scalable relational database which can accomodate several concurrent users. Because of its sophisticated design, it doesn't require much effort for the upkeep of the server. However, for high profile installations, where high performance and continuous availability are a necessity, PostgreSQL monitoring is indispensable. Applications Manager PostgreSQL monitoring tool helps database administrators proactively performs PostgreSQL database monitoring and maintain the key performance metrics. Take a deep dive into all the database operations that run on your server with PostgreSQL Monitoring. Track slow database performance by monitoring the number of active connections with the database. 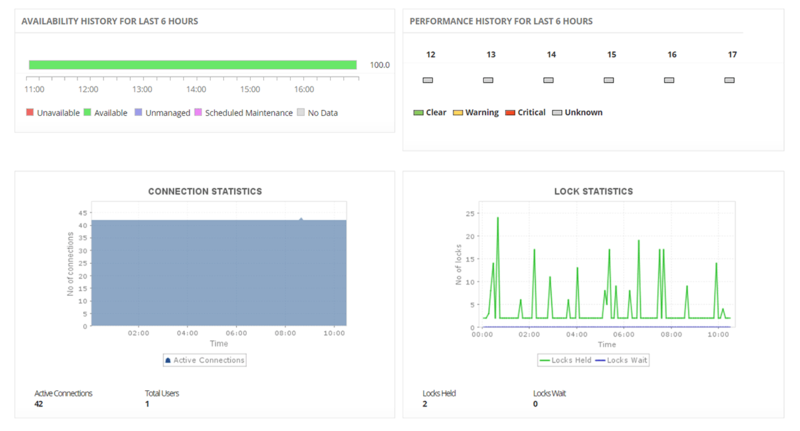 While most PostgreSQL performance monitoring tools monitor the overall database health and availability by executing remote scripts, Applications Manager PostgreSQL monitoring tool offers in-depth Postgres monitoring by collecting metrics such as idle locks that are responsible for the long waits, slow queries, disk and buffer stats such as cache hit ratio, disk usage, buffer reads/min, etc. See how Applications Manager can meet your Postgres monitoring requirements. Schedule a personalised demo. 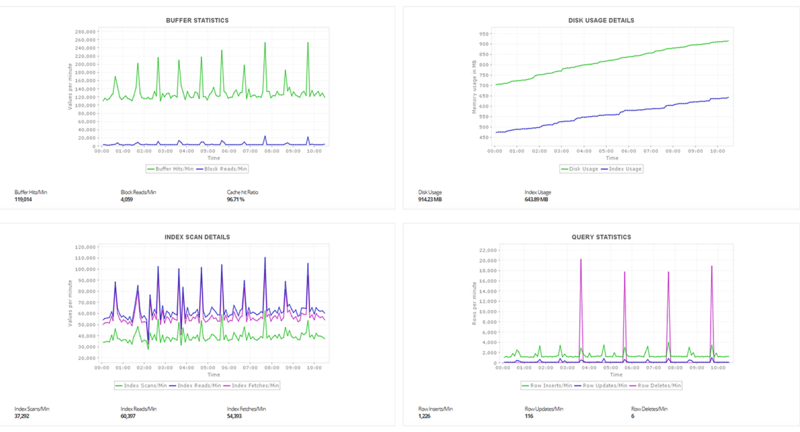 With Applications Manager Postgres monitor, set dynamic baselines to detect anomalies in database performance that can cause gradual performance degradation and unexpected downtimes. Configure thresholds for critical performance parameters and trigger instant notifications in case of bottlenecks. Resolve issues faster with root cause analysis that drills down to the source of the problem and ensure issues don't reappear for all round PostgreSQL monitoring. Applications Manager Postgres Performance Monitor is among the best PostgreSQL performance monitoring tools not just for monitoring but also for analysing the monitored database parameters because of its detailed reports. View attribute-wise historical performance report of your database and analyse the performance trends of your database parameters. Unlike other postgres monitoring tools, Applications Manager Postgres monitor enables you to predict future growth and utilization trends of your databases and make informed decisions regarding load distribution and capacity planning. Queries are the best way to find out whether your database is up and running 24x7. Since databases run innumerable queries in their day to day operations, as part of your PostgreSQL monitoring plans, it is ideal to monitor certain specific queries that are critical to measure the database activity and health. Applications Manager gives you the means to add these important queries in the console and monitor the performance statistics of these queries by collecting metrics such as query status, last run time, execution time, etc. These queries can be associated to user-defined thresholds, violation of which triggers an instant alert notifications. PostgreSQL monitoring queries is especially useful in identifying performance bottlenecks in networks which are connected to several databases and resolving it by deducing the exact location of the issues in the databases. Learn more about Database Query Monitoring.